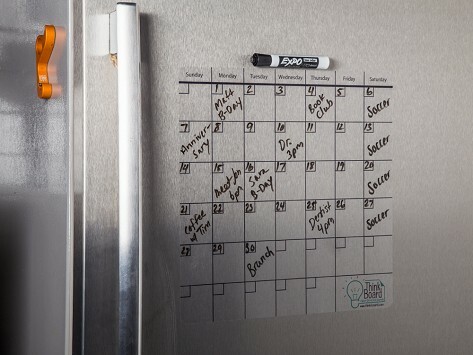 Think Board Calendar is a reusable dry erase sheet that can quickly and easily adhere to almost any flat surface. 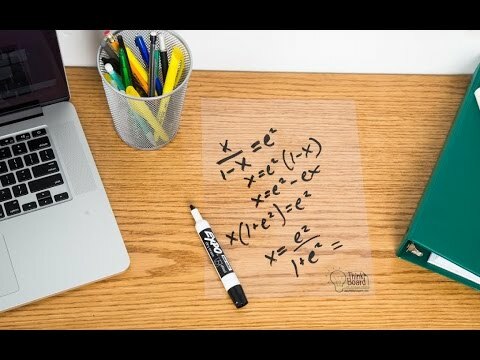 Place it on walls, doors, desks, the fridge—anywhere you want to leave a calendar. When you’re done, remove it and reuse in another location.